日本自動車デザインコーナー 「Japanese Car Design Corner」: First live photo of all-new Nissan Tiida (Versa)! 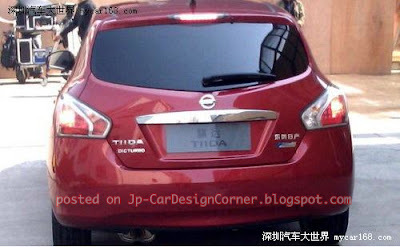 First live photo of all-new Nissan Tiida (Versa)! This is the first live photo of the new Nissan Tiida (earlier post), aka Versa, coming from China!